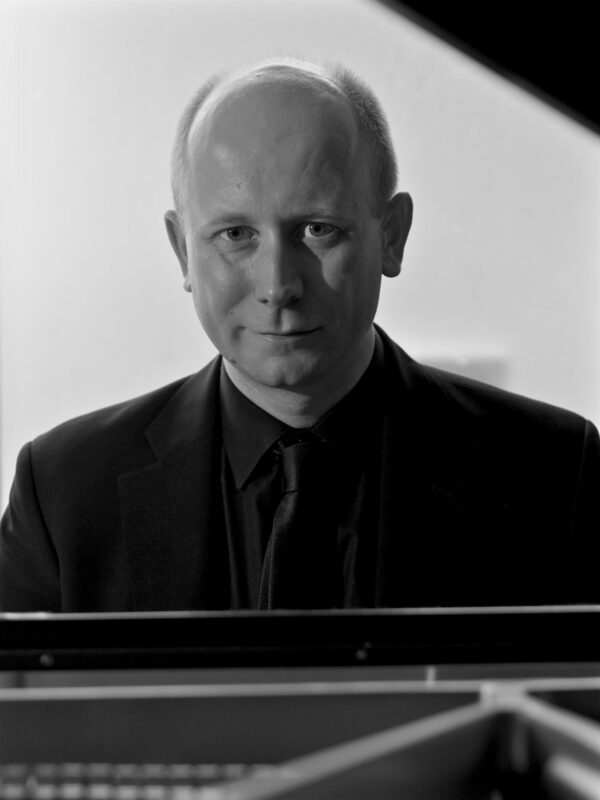 British Pianist Nicholas Burns has performed in USA, Canada, Spain, Germany and all around the UK. His performances have been broadcast by BBC Radio 3 (UK) and Radio Maribou (Germany), and he has recorded three critically acclaimed albums for Nimbus. He is most often heard alongside violinist Louisa Stonehill as part of the Steinberg Duo. This season sees his first appearances in New England, including a recital series at the Redfern Arts Centre at Keene State College, as well as the release of a new recording of Violin Sonatas by John Ireland, Franz Reizenstein and Geoffrey Bush for Lyrita. A committed educator, Nick has always found time to coach and teach alongside his performances. Earlier this year, he adjudicated the final of the Leonard Smith & Felicity Young Duo competition at Trinity Laban Conservatoire in London, before coaching the participants in a public masterclass. He has recently joined the faculties at Keene State College and the Putney School in Vermont. Before leaving London he ran a thriving private teaching studio from 2005-2016 and he has been an examiner for the Associated Board of the Royal Schools of Music for five years, adjudicating music exams throughout the UK, Malaysia and Hong Kong. Nicholas read Music at Bristol University before going on to study conducting at Trinity Laban Conservatoire in London. He was Music Director of the New Orpheus Ensemble from 2003-2008 and conducted I Maestri, Gravesend Youth Orchestra, Kent Schools Orchestra and New Sussex Opera before his passion for chamber music led him to devote almost all of his time to the piano and chamber music. He attended the International Musicians Seminar at IMS Prussia Cove in 2010 and spent each January in residence at the Banff Centre in Canada from 2012-2014. From 2010-2012 he was also a regular participant in the ChamberStudio masterclasses at Kings Place in London, and was lucky enough to study with some of the world’s leading chamber musicians. In 2011, when he and his wife noticed the mail piling up on the doormat of a shop unit underneath their London apartment, they made enquiries and transformed the shop into a dedicated space for chamber music. 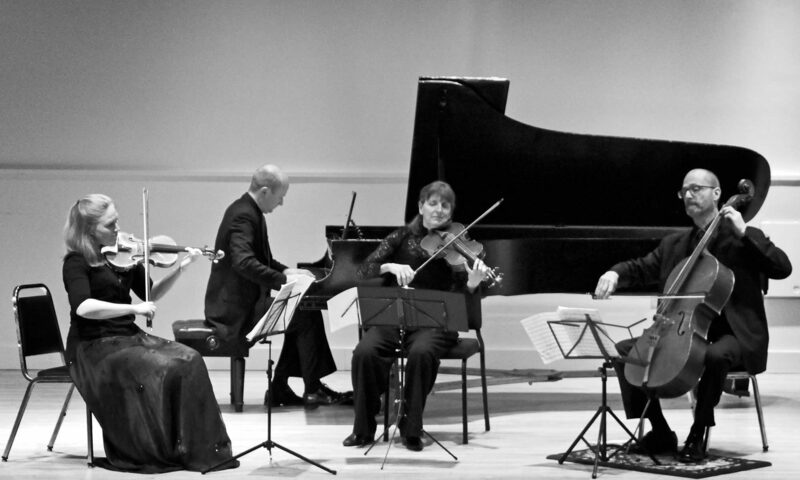 Once a month, they would open their doors to host a ‘studio concert’, inviting their neighbors to come and hear chamber music up close and personal, in a small space that could seat only 25 (just!). After 5 successful years, they recently emigrated to Keene, New Hampshire where they now live with their 3-year-old son. Since making the move, Nick has been enjoying exploring the beautiful Monadnock region he now calls home, especially the hiking, kayaking and skiing nearby. When not immersed in music, Nick loves taking photos and following Formula 1!